After the RCom-Reliance Jio deal is clinched, attendant liabilities toward spectrum payment of Rs 15,000 crore over next 15 years will be passed on to Jio. New Delhi: Debt-ridden Reliance Communications (RCom) will soon furnish a bank guarantee of Rs 774 crore to the department of telecommunications (DoT) and sell spectrum to Mukesh Ambani-promoted Reliance Jio Infocomm, media reports said today. RCom was forced to exit wireless telecom business due to burgeoning losses after Jio’s entry into the sector in September 2016. These airwaves were bought by RCom in the 2013 and 2015 auctions, with payment to be made over 18 years. 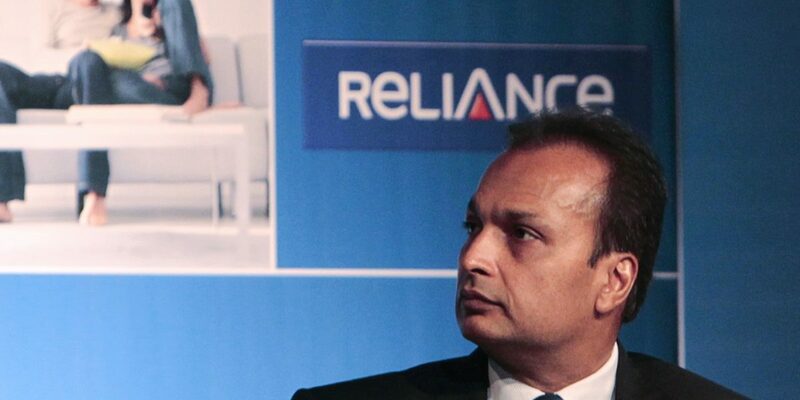 RCom, which has staggering debts of over Rs 40,000 crore on its balance sheets, has said that it will complete the sale of wireless and real estate assets by the end of this month and use the proceeds for paying down the debts. RCom expects to raise Rs 18,000 crore from the sale of wireless assets to Jio and real estate to Canada’s Brookfield. “There was a letter this week which assured the Department of Telecommunications that not only will bank guarantees of Rs 774 crore be taken care of but Jio will take care of the future spectrum related liabilities over the next 15-16 years,” an Economic Times news report quoted an unidentified official as saying. On Friday, the Telecom Disputes Settlement and Appellate Tribunal was scheduled to hear RCom’s appeal against a show-cause notice sent by the DoT in June 2018, which threatened the cancellation of the company’s licences if fresh bank guarantees were not furnished. There was speculation that the company could furnish the bank guarantee before the TDSAT hearing begins. DoT had earlier encashed RCom’s bank guarantees for over Rs 900 crore after it did not make payments for spectrum in April, breaching licence conditions. RCom had allegedly not replenished the encashed bank guarantees. In its plea, RCom termed DoT’s notice “illegal, arbitrary and without jurisdiction.” As The Wire reported, the potential cancellation of RCom’s licences in 14 circles and the revocation of spectrum would have scuttled its plan to sell the airwaves to Jio. The tribunal had directed DoT not to take any coercive action till the hearing on August 10. The telco told the tribunal that DoT had already encashed bank guarantees to cover spectrum payments that were due in April this year. RCom had also submitted before the tribunal that bank guarantees for payments due in March/April 2019 would be “duly furnished” after RCom sells its wireless assets. RCom had also argued before the tribunal if the licences are cancelled, DoT, too, would lose out since there are not many takers for spectrum in the struggling telecom industry today. The department would lose out on assured, although delayed, payment from RCom and its units. RCom has thwarted Ericsson’s moves to initiate insolvency proceedings against it by striking a payment deal with the operational creditor. The private telecom operator owes Rs 550 crore in unpaid bills. It has agreed to clear the dues by September end. The Supreme Court has given the go-ahead for the unhindered sale of RCom’s assets.